These results were awarded at a time of significant reform to A level and AS qualifications. In England and in Wales, this was the first year of award for the reformed A levels (13 subjects in England and 14 in Wales). These subjects contain new content, to meet the requirements of Higher Education, and less non-exam assessment. In England, learners’ achievements in the AS qualification no longer contribute to the linear A level qualification. Comparisons between year-on-year outcomes are made more difficult during times of reform. The precise reasons for changes in centre and candidate entry behaviour may not be immediately clear. Even in cases where entry numbers look similar it is not necessarily the case that a similar cohort is taking a subject. There were 8,350 fewer A levels. awarded in 2017 compared to 2016, a drop of 1.0% to 828,355. This decrease is less than the 1.7% fall in the number of 18 year olds in England, Wales and Northern Ireland. Facilitating Subjects, which include Physics, Biology and Chemistry, continued to represent over half of entries at A level, making up 51.7% of all entries compared to 51.1% in 2016 and 51.2% in 2015. 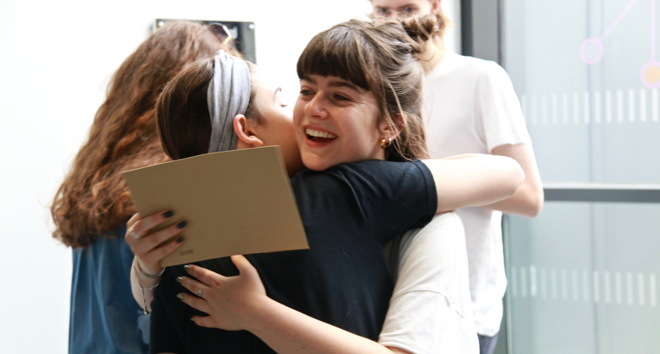 The amount of students receiving an A* grade fell year on year for both boys and girls, at 1.3% and 1.5% respectively. Chemistry continued for another year, to be the only science subject where boys received more A* grades than girls. Boys received 0.5% more A* grades than 2016 and rose to 9.8% compared to girls who remained the same at 7.5%.